Pokmon Go’s Celebi is the game’s second Mythical Pokmon, and was first made available in a different way to any other creature we’ve seen so far. Much like Mew before it, it’s now available as part of a Special Research quest, where players must complete a series of objectives as part of a story-based questline. However, there’s another key difference – the quest has debuted first for those attending this year’s Go Fest in Chicago. Catching Celebi works much like Mew did back in the first half of 2018, becoming available as part of a Special Research quest line named ‘A Ripple in Time’. Where standard Field Research offers objectives that can be collected by players at any time, Special Research is a story-driven questline with specific steps. The quest is broken down into eight stages, with multiple challenges to complete per stage. By completing every step of the Special Research quest, the Mythical creature will be given to players as a reward. Though these are similar to Field Research quests, the specific steps are fixed for every player – so if you don’t mind spoilers, you can plan ahead and learn what you need to do to complete them all catch Celebi – which is useful as you’ll need to undertake Raid and Gym battles along the way. To get started, you need to have completed the third group of tasks for Mew’s’A Mythical Discovery’. Like Mew, there is no time limit to completing the quest line – so take your time! What else do we know? There is a focus on Gen 2 Johto Pokmon (in the same way Mew was focused on Gen 1), with the event launching with increased Johto spawns to help complete the quests, as well as the release of Field Research relating to that generation. If you already caught Celebi by taking part in Chicago’s Go Fest, then completing the many tasks will earn you Candy to help power Celebi up. Additionally, what makes this interesting is Celebi is not the mysterious ‘Ultra Bonus Unlock’ that is rewarded if player successfully complete challenges across all three Summer Tour 2018 events. So what else could it be? Here are Celebi’s quest steps and their rewards in A Ripple in Time. Be wary of spoilers before continuing, if you are worried about learning what each objective entails before unlocking them. More coming soon! Thanks to Valarrian on reddit for help with the quest steps so far. Before August, only those attending this year’s Pokmon Go Fest in Chicago were available to catch Celebi. Once attendees registered for the event (players have to spin a PokStop and scan a barcade to register their account as attending) they could get started. 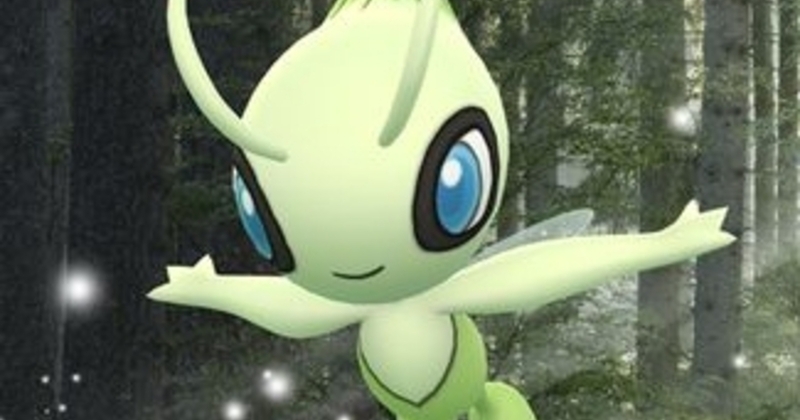 The arrival of Celebi brings the arrival of new Field Research and several new Shinies. Recently we’ve also seen the arrival of Lucky Pokmon, which comes hot off the heels of several Pokmon Go Friendship updates Gifts and Trading. Before that we’ve seen Legendary Pokmon Registeel, Alolan Pokmon Forms, 7km Eggs to investigate. Looking to the future, there’s the final leg of the Pokmon Go Summer Tour 2018, the next Community Day (don’t forget those Eevee evolution names!) and the eventual arrival of Pokmon Go Gen 4 Pokmon. Celebi is Pokmon Go’s second Mythical Pokmon, and the last Pokdex entry in Gen 2. While Legendary Pokmon are powerful beasts that are caught in game through specific steps, Mythical Pokmon can only be added to the game by acquiring it from real-world giveaways, and later in the series, online events. Celebi is both Psychic and Grass Type, leaving it open to attack from Fire, Bug, Dark and Ghost attacks. Between that and fairly underwhelming stats, Celebi continues the trend that Mythical creatures aren’t great competitive Pokmon in Pokmon Go. However, its rarity alone makes it well worth the time and effort in completing the Special Research questline. After all, there is no way to trade it. There are more to come, too. Like Legendary Pokmon, each generation adds one or two of these creatures – such as Gen 3’s Jirachi and Deoxys – and it’s assumed these creatures will be added to the game as part of their own Special Research quests at some point in the future. Ripple (XRP) Now supported on Tim Draper backed Crypto Exchange Coinhako !